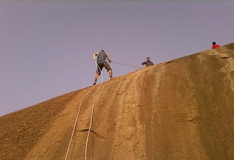 Rappelling is the controlled descent down a rock face using a rope; Climbers use this technique when a cliff or slope is too steep and or dangerous to descend without protection. 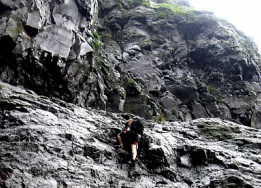 Scrambling is a method of ascending rocky faces and ridges. It is often distinguished from hill walking by defining a scramble as a route where hands must be used in the ascent. Scrambling is done with all limbs in use. The enjoyment of scrambling depends on the freedom from technical apparatus and is done with safety in mind. For difficult routes a rope is used for safety. Trek or trekking is a long journey undertaken on foot in areas where common means of transport is generally not available. 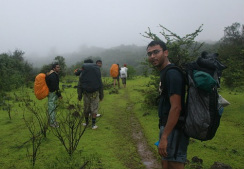 it is days of walking along different terrains along with adventure and unpredictability. Wilderness explorations are where teams are sent to unfamiliar locations with little supplies and have to make out their way in the wilderness using navigation from compass and maps. 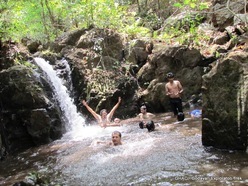 Cross obstacles like streams waterfalls, rocks and steep hills. Wilderness Explorations facilitate Collaboration and Teamwork. This is an ideal event for any active team that seeks a real challenge in the great outdoors - a challenge that requires teamwork and commitment and brings a great sense of achievement. Testing your Teams will to survive by braving nature can help them discover hidden strengths. 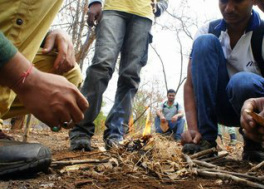 Wilderness Survival exercises are where a group is left in a jungle to fend for themselves from the natural resources which includes making fire, shelter, finding food, water and survive the night in the wilderness. Decision-making skills when the conditions are not ideal are highly prized in today's corporate world. You expect your team of professionals to be able to think on their feet and act in the best interests of your company. 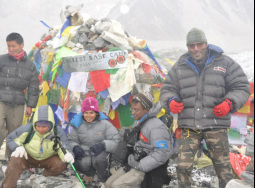 Himalayan Trekking Expeditions such as the Everest Base Camp are of duration of 15 days. The Team has to stay together to reach the base camp. There are obstacles like difficult terrain and weather, altitude issues. 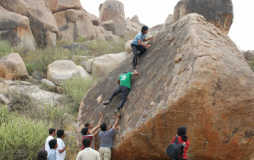 Its a testing time for the team to stay together and reach the base camp. Increase collaboration and trust within intact teams. Build interdependence and risk taking skills.